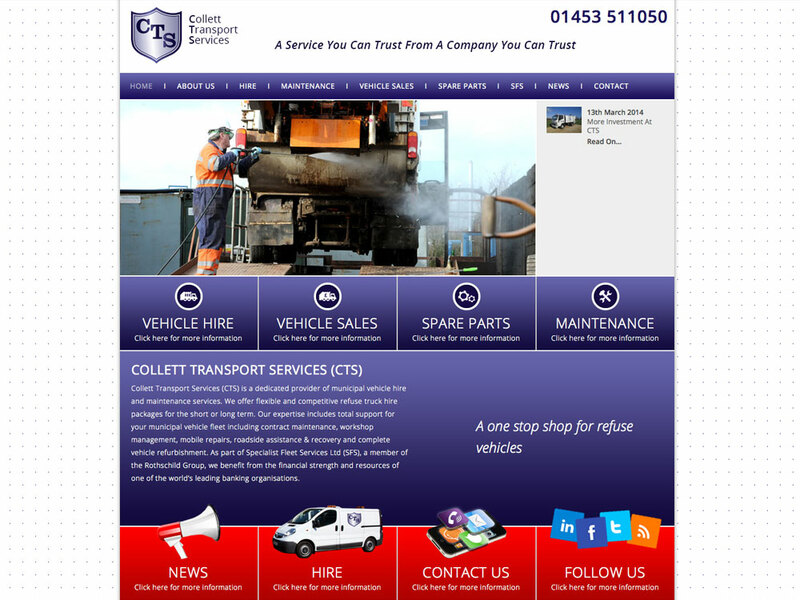 Visitors to the Collett Transport Services (CTS) website will get a pleasant surprise this week with the launch of a smart new, ‘refurbished’ online image. Part of Specialist Fleet Services Ltd (SFS), CTS is a dedicated provider of municipal vehicle hire and maintenance services, and the company now has an online presence to complement its impressive track record and reputation for high standards of service. The new website features an online contact form and Newsletter sign up, as well as a regularly updated News page for all the latest developments at CTS.